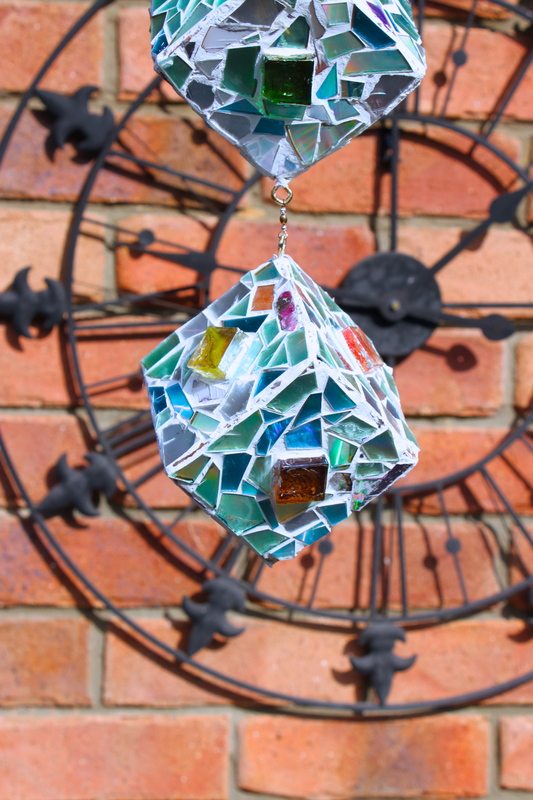 Everyone loves a sun catcher – well according to Pinterest they do! This is basically the same concept as the Valentine Hearts we did a few weeks back, but instead of random shapes, we used a punch to make stars and circles etc from the cellophane. Once laminated, we cut out smaller shapes and hung them from a branch with some beads. Ready to go through machine. Trace out some shapes with a marker then cut out. 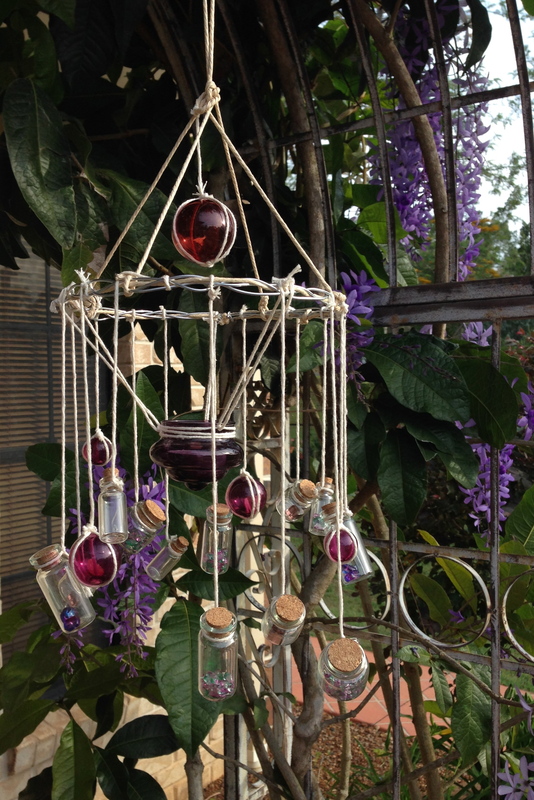 DIY Wind Chime, Candelabra/Sun Catcher. I dragged the kids to the $2 shop to stock up on some supplies for other projects, and came across these cute little glass bottles. I had to have them. And I had to use them right now! So much for Halloween craft this week! lol. I didn’t have a small enough pre made wreath wring to use as the frame, so I just used some gardening wire and platted it loosely along with a piece of twine. I like the rough look it gave and thought it fit well with the theme. The little glass balls were another score from the junk shop, they are actually part of a floating candle set, but I had bigger ideas. I love those old glass buoys as decorations so I figured these could be made into mini ones. 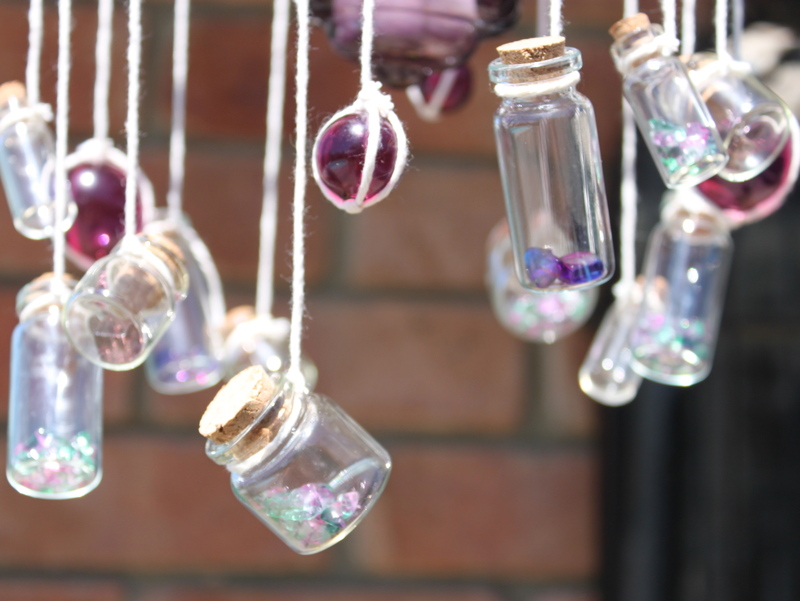 I slightly filled the little jars with some crushed crystal beads I bought off eBay years ago, just to add some colour, then tied them all up. Originally I was going to position each one, stepping them down as I went, but as they were all different heights and widths, it just didn’t give a worthwhile effect. So I just tied them randomly, but so they would still hit each other to make a noise in the wind. The candle holder in the middle was a last minute decision, I just thought it was missing something, and that finished it off perfectly. To be honest, I wouldn’t leave the candle lit unattended, as those strings are flammable, maybe a battery operated tea-light would be a better idea. Anyway, I am pretty happy with it. I think I will do it again, after I collect some larger bottles to hold more candles. 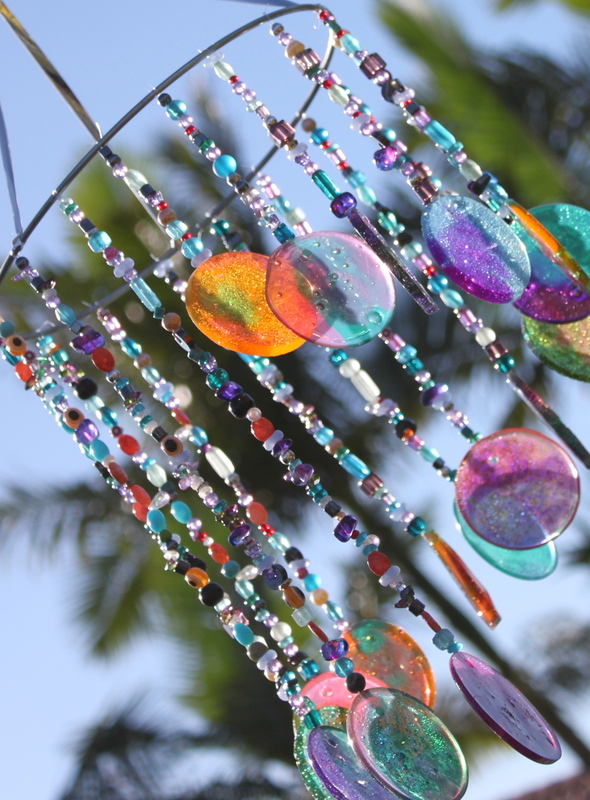 Create something a little different again, and probably use wire to hang them next time. If you would like to see more craft and DIY projects like this one, please follow my blog and Pinterest. I have had this idea in my head for a while, but wasn’t sure what medium to use. This product is really fun and easy to work with, however, it sets more like a hard rubber than a ceramic clay, so it did not achieve the wind chime noise I had in mind. Oh well, its still pretty! 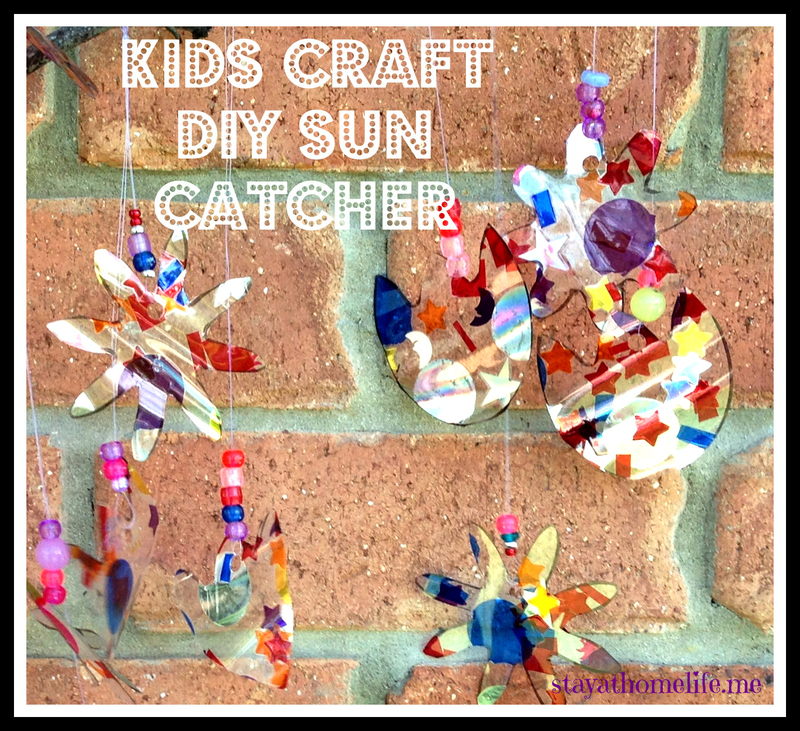 Nature theme mobile / sun catcher. Sculpey Oven Bake Clay. It is quite firm out of the packet, but softens up quickly with some kneading. Ms 4 Rolling out the clay. Ms4 threading the fishing line and adding some beads. Drilling some extra holes in the piece of bark. 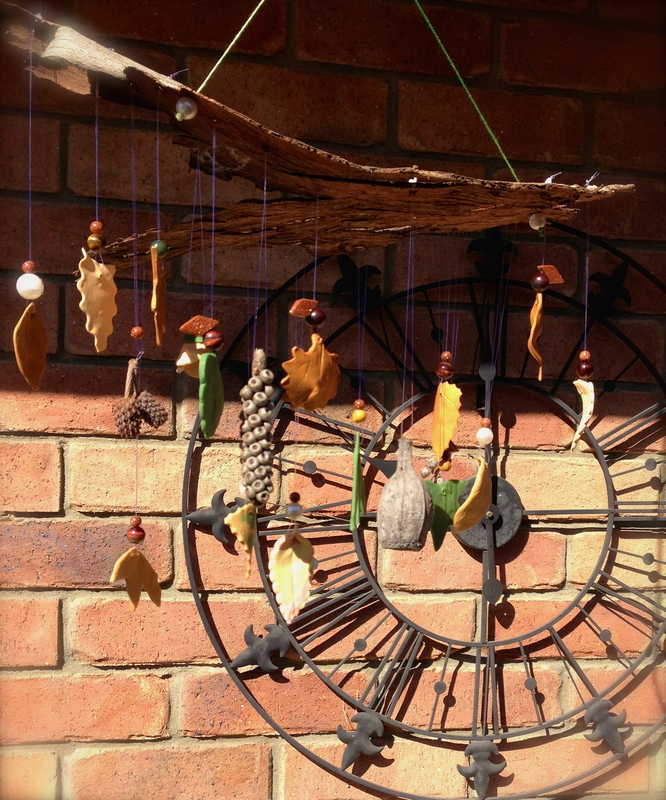 Autumn and bush influenced mobile. 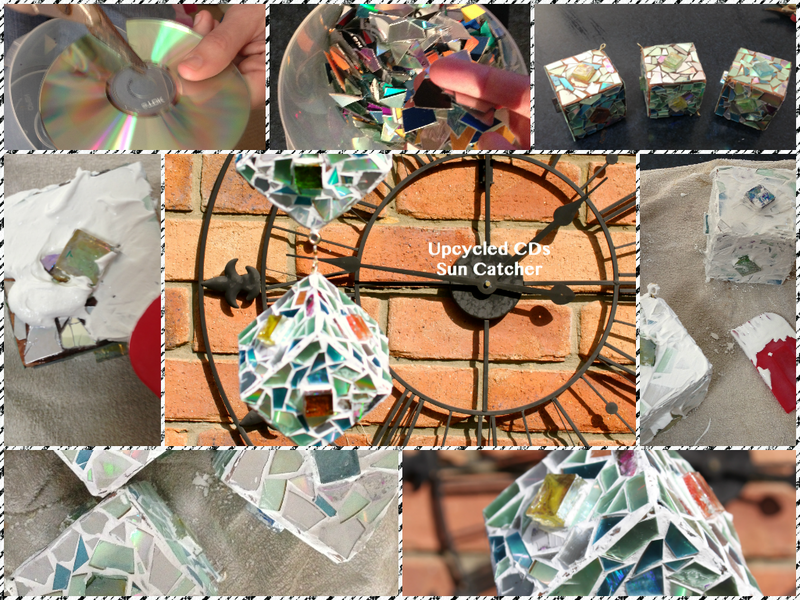 This project was inspired by another bloggers post, which I can’t find again on Pinterest, so will have to edit it back in later when I can find it. Anyway, I ended up doing something completely different to hers, because I couldn’t get my hands on the right kind of cups. The original mobile was created with plastic (recycling number 6) disposable drinking cups. I hunted high and low however, the only ones of them here were solid colours, so I had to settle for these shot glasses. The shot glasses are a lot thicker though, so the entire method required adjusting. 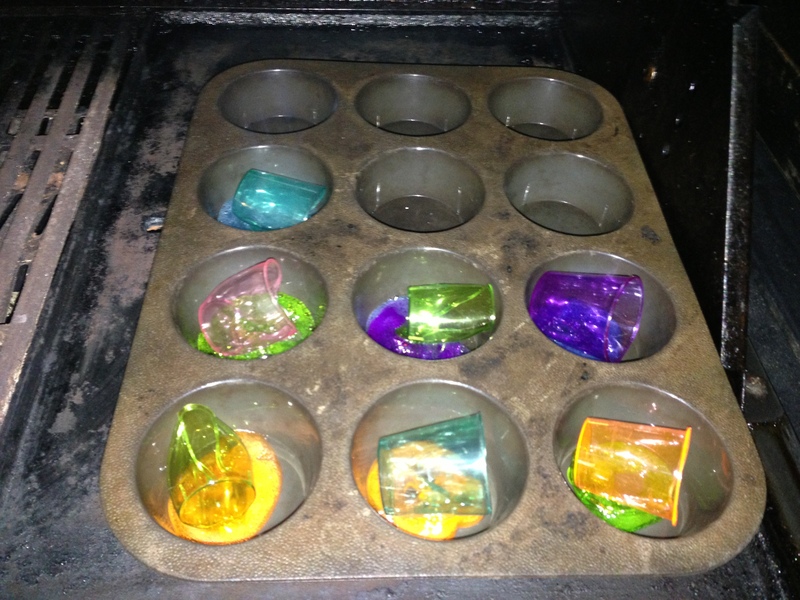 As you can see in the gallery images, melting these at a low heat basically make little plastic globs that would only be good for playing jacks with. Eventually I worked out that by turning the heat up enough, I could get them to melt flat. However, they did emit a nasty smell at this temp, so I took the project out to the BBQ. They actually set really hard and when clicked together sound like glass rather than plastic. Makes them perfect for a wind chime. 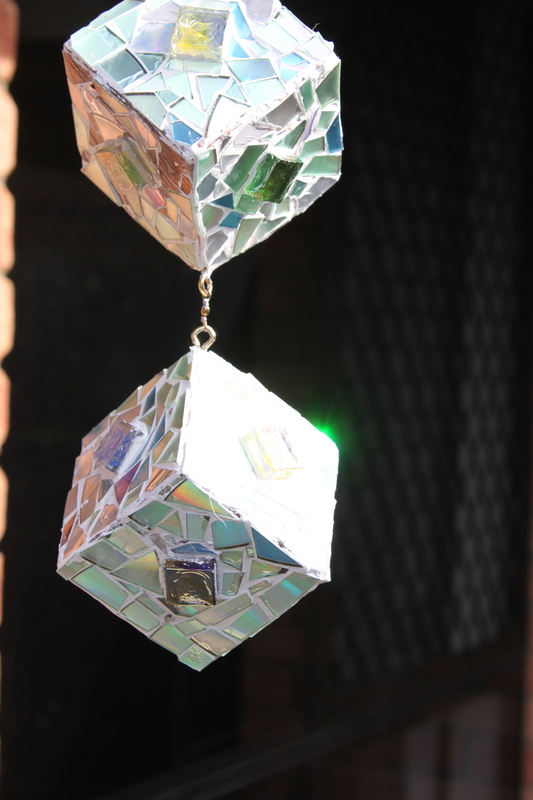 Just like with my previous sun catcher, I drilled holes in the sides of each piece using a normal drill bit. None of them broke this time, which was an extra win. Then we threaded some fishing line through, held each end together and threaded random shiny and transparent beads along the 2 lines. Admittedly I do have a ridiculously huge stash of beads and stones accumulated from over the years, but you can pick up cheap beads at $2 shops that will still make the project inexpensive if you were starting from scratch. The first line was 11cm, then I continued along making each one 1cm longer, there is 17 in total. My darling partner tied them on to the pre made metal loop (from spotlight – and much to his disappointment, he is not a crafty person). Once they were all tied on, I just slid them around until they were spaced evenly. And done! ** Please note, breathing in the fumes from melting plastic is probably not a very good idea. So if you do try this at home, try to use the BBQ or make sure the room is well ventilated, and preferably don’t be near the oven while its all happening. It not like burning tyres or anything, but it sure doesn’t smell like something you should be breathing in! Use the BBQ, so you don’t fill the has with toxic burnt plastic smell. 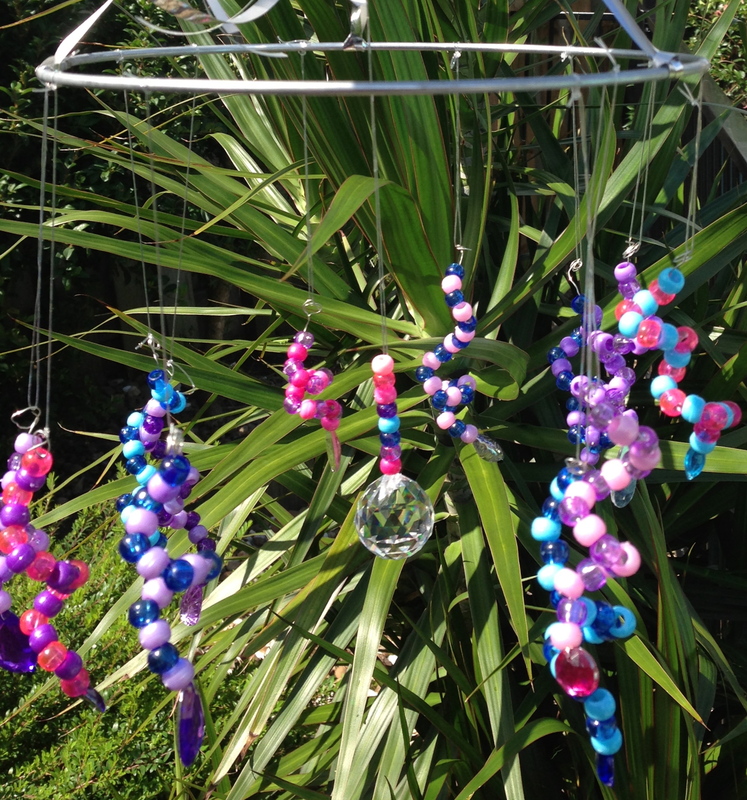 Continuing on from the Christmas decorations we made a few weeks back, using the same principal we put together this wind chime or out door decoration. I’ll spare too much description, as its all talked about in the previous post (linked above), and its pretty straight forward anyway. So this time we just made all stars, the kids chose their colour schemes and I wasn’t too worried about a colour theme as such. More colour the better. Once cooled, again we drilled small holes into a corner of each one, then threaded some fishing line to hang from a branch. I used a tiny dot of hot glue to keep the fishing line in position. And that’s it! Easy peasy. 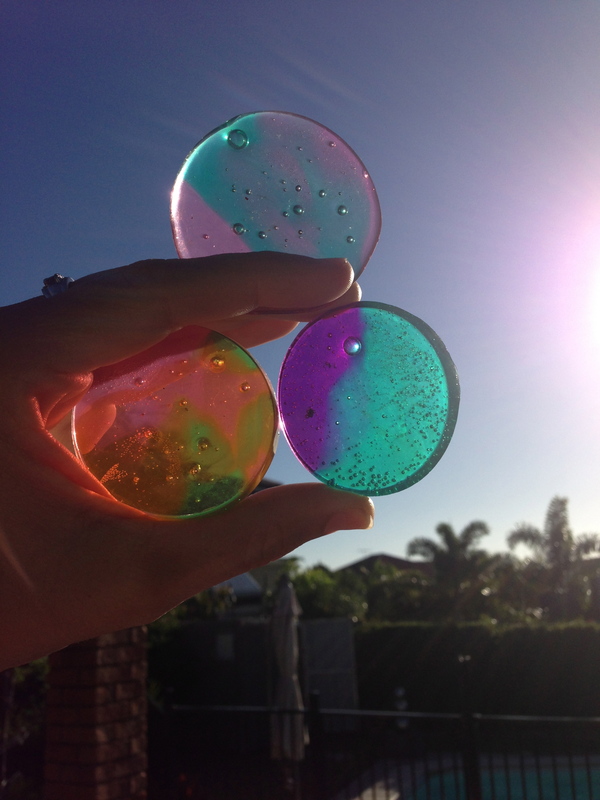 This is about the 4th time we have made sun catcher type things, and every.single.time there is no sun when I go to take photos of it. I will hopefully update this when the some decides to come out again. 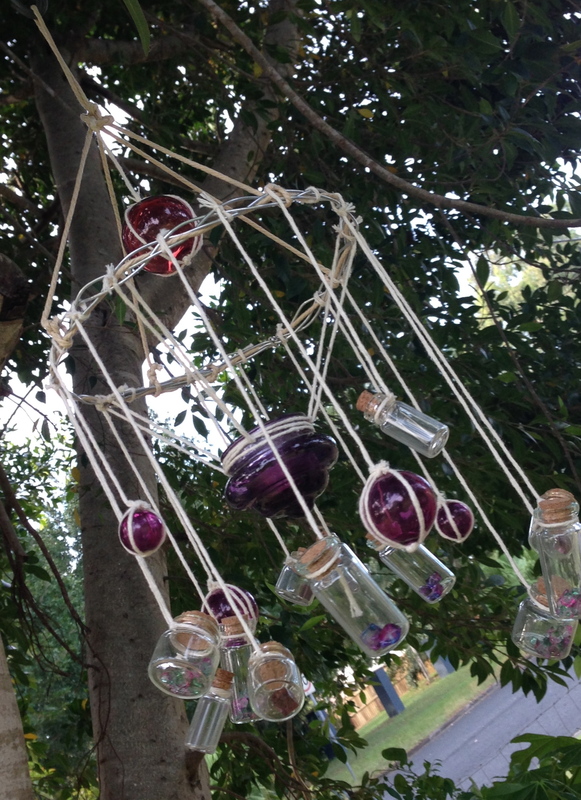 Beaded Mobile/Chandelier/Wind chime Family project. Sorry if the beads are getting old. I really made this up as I went along. I wanted to use the rings I had bought to make Christmas Wreaths but never got around to. I thought this was something we could all do together and the results are pretty cute, although would do it differently next time. 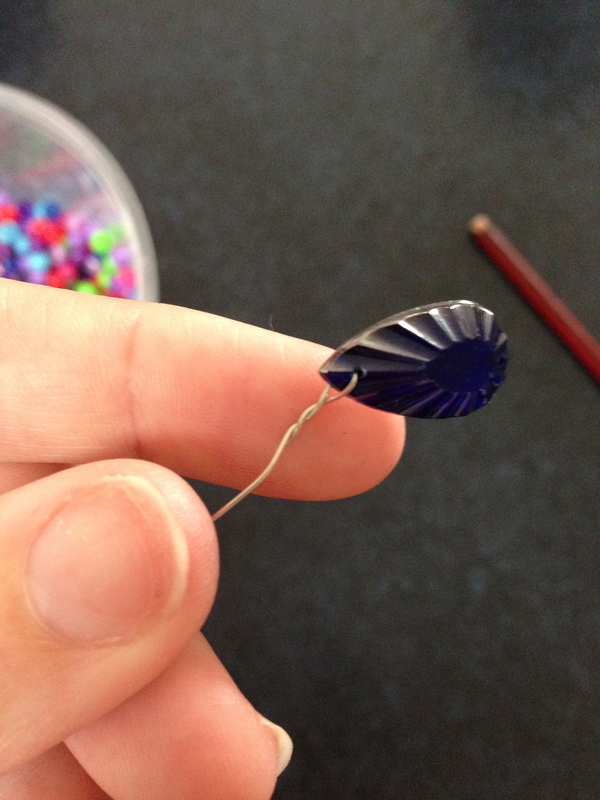 We threaded some plastic jewels with beading wire, to make the ends. 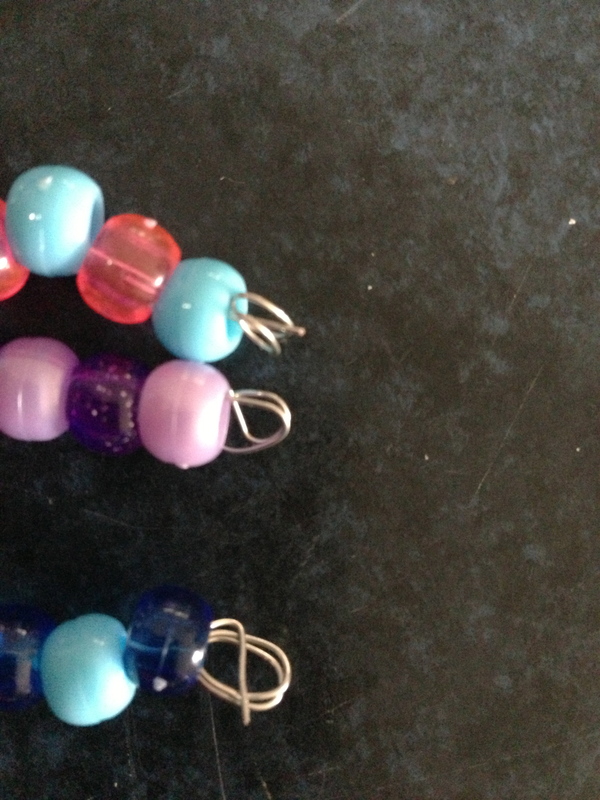 Then created patterns with different coloured beads, around 20cm long. Finish off the ends by wrapping the wire into a loop around some needle nose pliers. The loop needs to be big enough to not let the beads slide off, and to allow you to thread more string on in the next step. Then I just tied them around the ring, suspended it with some gift ribbon and suspended a glass sun catcher in the middle. All pretty straight forward. Ms 4 wants to hang it from her light, but as she has a light fan combo, there is nothing to hang it from.